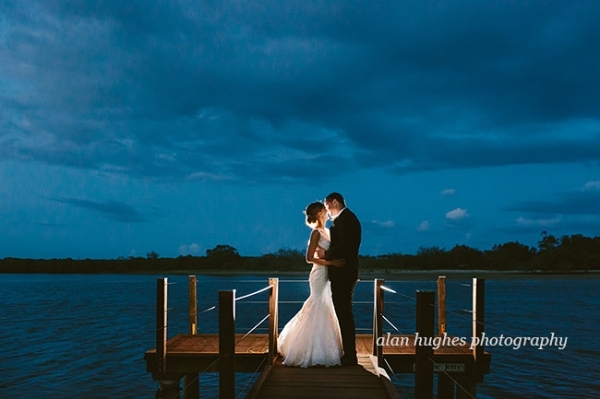 Emma and Joseph's wedding really took in the best of the Sunshine Coast - they had a Maleny wedding ceremony and then they travelled down to the coast for their Maroochydore wedding reception. They were blessed with a beautiful January day that had perfect sunshine with a smattering of clouds - which was apt as they were the perfect couple. Their love and affection for each other was almost palpable and once they became one their smiles and laughter was infectious. To Jo & Emma - many congratulations and thank you for letting us be a part of your day, I wish you much continued love and laughter. Other suppliers involved were; ceremony at Little White Wedding Church, celebrant was Natalie Banner, transport by Birty the Bentley, hair by Nicola, dress from Casar Elegance, make-up by Pru Edwards, flowers and much more by Willow Bud and the reception at Ebb Restaurant.